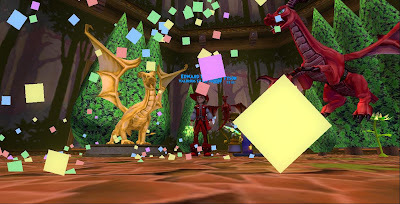 Around the Spiral with Edward Lifegem: Wizard101 5th Birthday Celebration! I know a lot of you are in school and don't know this but when you get home you'll notice a phoenix flying around the commons in Wizard101 along with Birthday Decorations, new mounts and new statues in houses that shoots confetti! 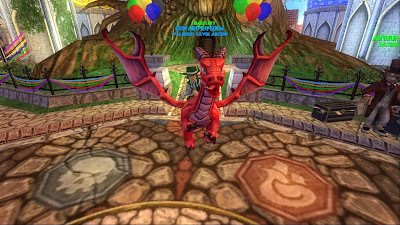 Yes, Wizard101's 5th Birthday is coming up and they're giving everyone presents to celebrate! 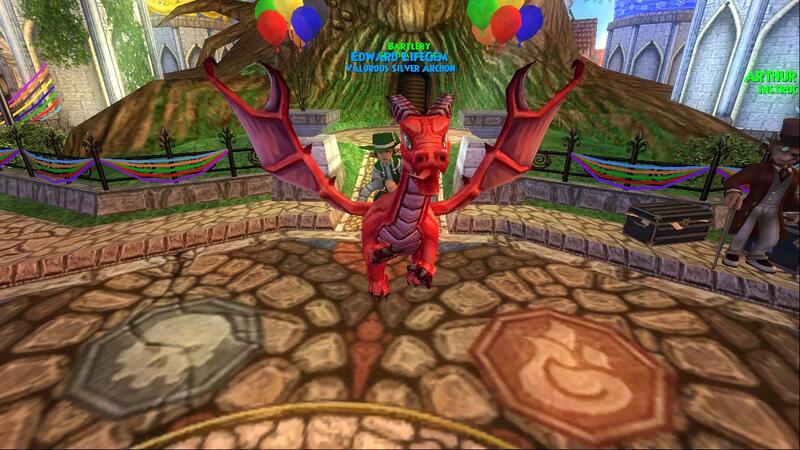 I started Wizard101 in 2009 so that means they gifted me a new mount. I know its not the moons and stars one but I feel like they made older players feel special again and I'm happy they did that. 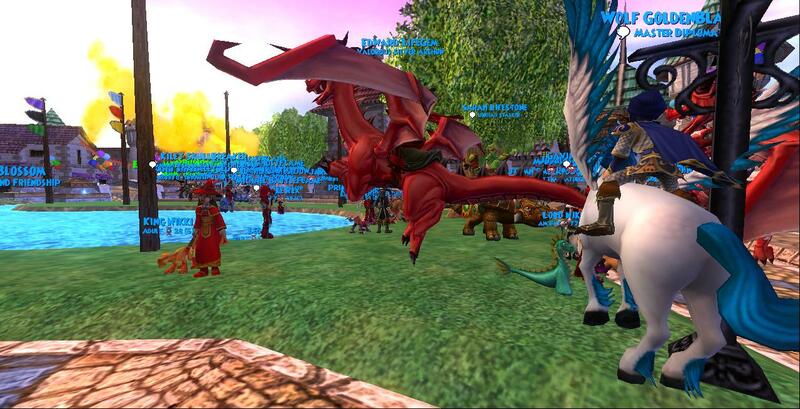 I've played for awhile and I really do love Wizard101 and I'm happy they're showing that they love us too. If you'd like to know what you can get for free click on this link. Since I started in 2009, I got a Frontier Dragon, Auric Dragon Stone (shoots confetti) and of course the Confetti Cannon. My new Auric Dragon Stone, Confetti Cannon and Mount! If you look closely, you'll see a phoenix flying around the WC Commons!